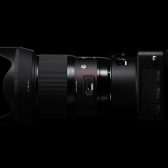 Sigma is set to announce five new lenses ahead of Photokina according to Nokishita. 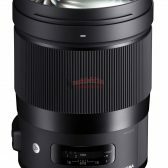 We’re finally going to see the long rumored 70-200mm f/2.8 DG OS HSM Sport and a 10x superzoom in the 60-600mm f/4.5-6.3 OS HSM Sport. Good to see, that Sigma keeps on pushing. A 28 f/1.4 and a 40 f/1.4 to with the already available 24 Art, 35 Art and 50 Art. Interesting! I will be intrigued to see what the two new lenses deliver! For some reason I am a little disappointed the 56 f/1.4 is not EF mount. If they nail the focus 60-600 is great for well lit events. With usable ISO getting north of 1600 or even 3200 (with some light processing) being able to cover the whole field is great for non-pro shooters, and the 4.5 to 6.3 aperture isn't going to be that bad with a newer sensor. It really comes down to how well and fast it focuses. I would like to see improved coma; better than the 20mm and 24mm Arts. I also hope that these will be lighter and have improved AF. Sorry I guess I wasn’t clear. I realise the 56 is a DN lens and that means for mirrorless cameras - and that is why I am a little disappointed. I would have quite liked to see a 56 for full frame cameras. I know there is already a 50 Art but Nikon has its 58 and there are a few 55s around. I’ve often thought if I shot nikon I’d be keen to give that Nikon 58 a go. And yes, I realise 58 isn’t much different from 50! Something like the Nikon 200-500 5.6 would be nice! Some interesting lenses, though I can't imagine that the optical performance of that 60-600 will be stellar. Good, probably, but not stellar. I own the 150-600S. It is a great lens. I do handhold it. I have shared/loaned it several times. Those photographers also hand held it. So I would reword Alan’s comment. It is a heavy lens. Be prepared, it is no 70-200 f/4 is. But if you are there to shoot, many normal people have handheld this lens. I hope the 60-600 has good IQ. The IQ on the 150-600S is very good. But I thought the previous 50-500 lenses (pre global series) were a bit less than I would want. But post Global series Sigma has been on a roll. So, looking forward to these lenses. I am sure the 40mm f/1.4 is going to outperform the 35mm f/1.4, since it looks a lot bigger and heavier (more expensive), the 28mm f/1.4 is more like the size I expect with a focal length and aperture like that. 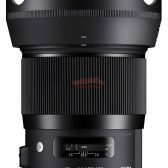 I hope it's going to come for EF-M.
Sigma keeps pushing these great performing art lenses. 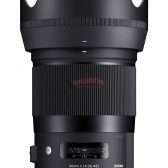 Good for competition, but sadly there is one thing that keeps me away from Sigma lenses- the AF accuracy seems to be a real lottery. 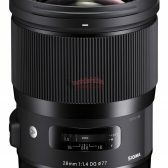 4 times I have played Sigma AF lottery with 4 different lenses. Twice I won, twice I lost. No more Sigmas to me. I like to consider myself normal, and I could hand hold the 150-600mm S but the C is so much more comfortable. With all of these things, some can manage to hand hold a particular lens, others find it too much of a strain. Some can hand hold a 600mm II. Others find a 100-400mm II as much as they can take. In general, it is better to keep lenses light. Anyways, would not be interested in a 56mm/1.4. Looking for a compact tele prime for EF-M ... something like a 85/2.4 IS STM.